Kretek has built on a tradition of quality and is proud to extend that tradition to its many customers across the United States and Canada. Djarum continues to stand out in the market in all channels, selling more than 256 million sticks within the past 12 months at over 83,000 retail locations. The success of our new and existing brands is the foundation on which we’ve built hundreds of lasting customer relationships. 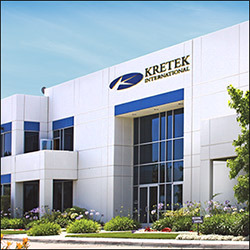 The future of Kretek continues to look bright because of the relationships we have built with you — our valued customer — over the last three decades. All of us at Kretek thank you for your continued support and trust, and look forward to growing with you in the future. We do not sell to consumers, we only sell to properly licensed distributors and wholesalers. All Content © 2019 Kretek International, Inc. All Rights Reserved. WARNING: Smoking cigars causes lung cancer, heart disease, and emphysema, and may complicate pregnancy. WARNING: This product contains chemicals known to the State of California to cause cancer and birth defects and other reproductive harm. WARNING: Electronic cigarettes are not smoking cessation products and have not been evaluated by the Food and Drug Administration, nor are they intended to treat, prevent or cure any diseases or condition. WARNING: Smoking By Pregnant Women May Result in Fetal Injury, Premature Birth, And Low Birth Weight.